For me, not having the right tool for the job can be one of the most frustrating things. I am all about working smarter, not harder. If I must do chores, then I want them done as quickly and efficiently as possible. I have no time with which to trifle with products that only kind of do the job and take more effort. If you are of a like mind, then may I suggest adding the Kloud City 10″ straight Foam-Tipped Scrubber to your cleaning arsenal. 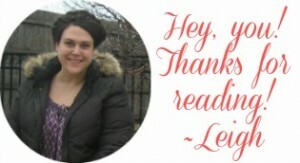 It has become an integral part of mine in the year since I’ve purchased it. So, what is it? As the title implies, this funny looking instrument is a 10″, foam-tipped scrubber. The neck of the scrubber is made of reinforced foam bristles (which are extremely gentle but seriously effective- SCIENCE!). The foam covers a flexible/wired neck that curls into a pommel/nodule at the end. Unlike rigid bottle brushes, you can flex this guy and get inside/or under most small, mouthed container lips with a strong staying/cleaning pressure. Don’t be fooled by the middling Amazon reviews. It has gotten some negative feedback since it is described as a “bottle brush” but isn’t small enough to get inside of standard wine and beer bottles. 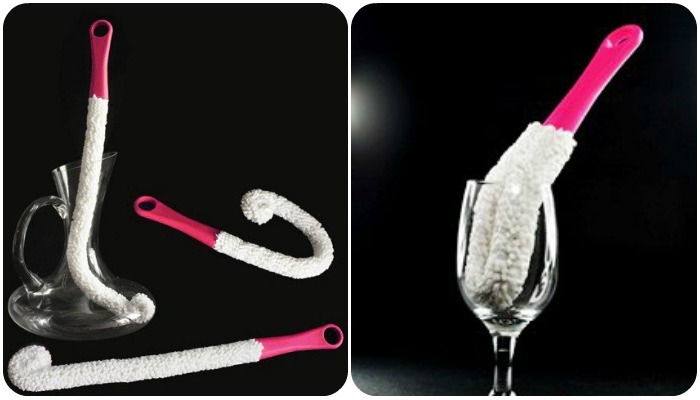 True, this scrubber could never fit in a standard wine bottle. But, this scrubber is the only thing I will use to clean the inside of hummingbird feeders, re-usable water/sports bottles, vases, pitchers, narrow neck stemware, decanters, and carafes. Yeah. Carafes! To those of you scoffing, you’ve obviously never had to clean out sangria-filled sports bottles that were overlooked for a week from a picnic basket or cleaned up a slimy hummingbird feeder. I simply put a dot of dish soap/baking soda/ or both onto the pommel and go to town on every nook and cranny of notoriously difficult to clean items. Gone are the days of squeezing a sponge into a Nalgene bottle and then stirring it around with a chopstick! What a crazy pitcher picture! And none of my stemware is prohibitively small warranting the goblet scrubber. Though one side note about the brand: Kloud City? 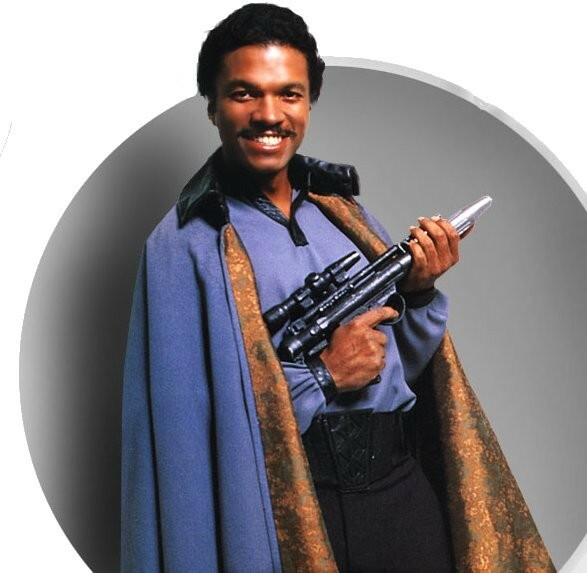 No, Star Wars fans… there is no Lando Calrissian here. Though who doesn’t love Billy Dee Williams, malt liquor, and capes? But, after searching Google, I could find no web presence for this company. Amazon seems to be the primary retailer, though the other items carried from that brand are too varied to be unsuspicious. So, although I cannot vouch for the brand (unlike one of my favorite brands Casabella), I can definitely vouch for the effectiveness of this product. As always, this product can be found in our Amazon store— and with a price point of only $2.30! In fact, it costs more to ship the scrubber individually ($2.50), so may I suggest throwing one into your cart the next time you are getting multiple things shipped from Amazon. What do you think? Do you have any tricks for cleaning tough-out of the way places? Do you have a funky shaped pitcher? 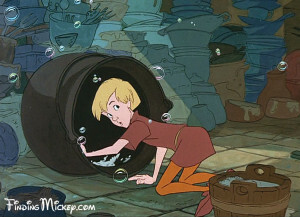 Is boy child Arthur Pendragon from Disney’s Sword in the Stone what you think of when you hear about goblet scrubbers? As always, let us know in the comments!